100% I recommend Capture Photography. Amy is so patient, professional and friendly. 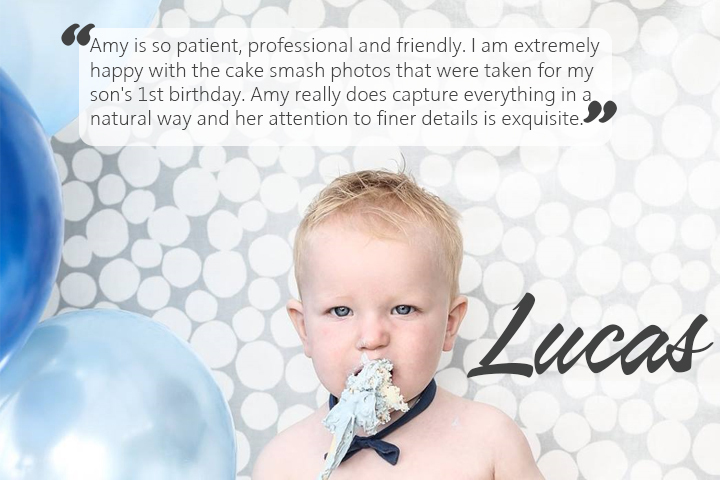 I am extremely happy with the cake smash photos that were taken for my son’s 1st birthday. Amy really does capture everything in a natural way and her attention to finer details is exquisite. I just wish that I’d have known about Capture Photography prior to my own wedding as I would have booked Amy without a shadow of a doubt. I promise you won’t be disappointed with this company so please contact them.